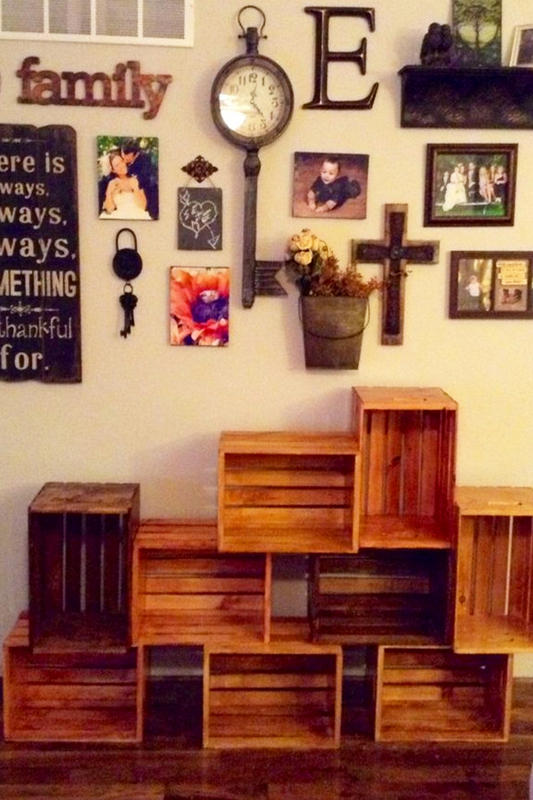 If you love DIY projects as much as I do, you’re gonna love these DIY ideas for old crates! 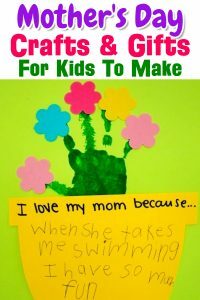 Let’s take a look at some clever and down-right creative ways to turn old crates into furniture and other useful DIY home decor items. 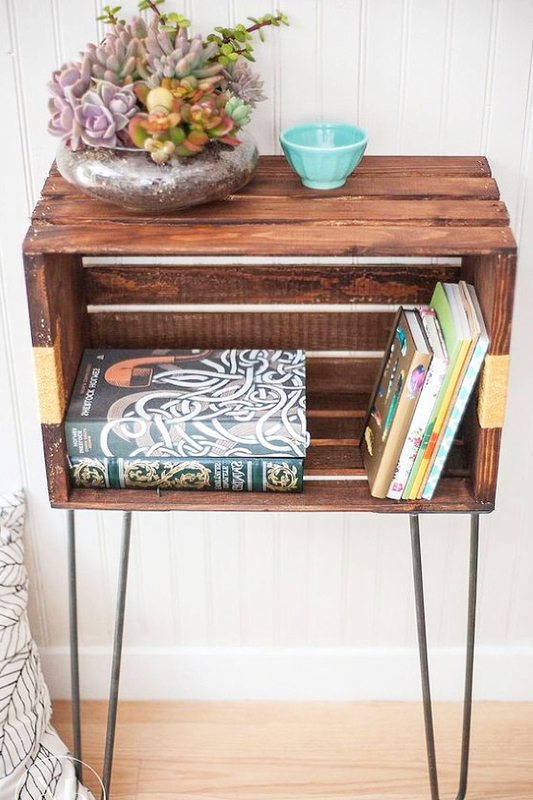 Here’s a clever idea for repurposing platic milk crates into upcycled furniture – turn old milk crates into a pretty foyer table to decorate your entryway. See more foyer decor ideas here. 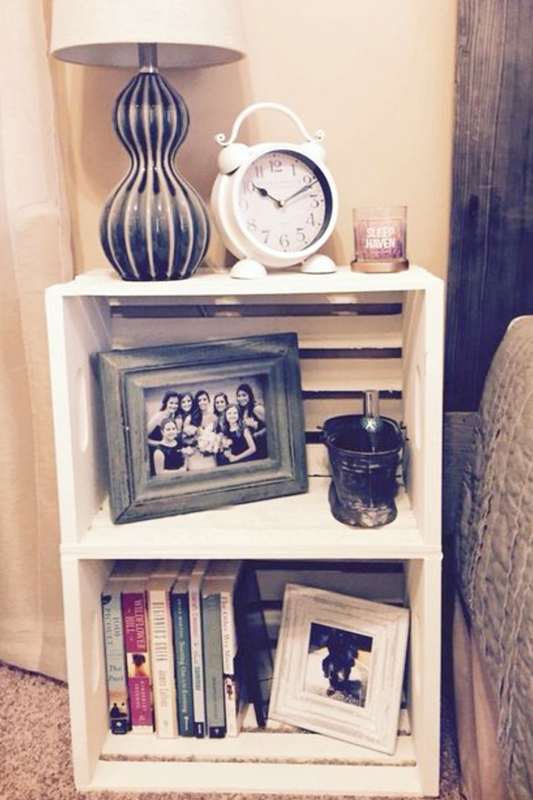 I love this DIY crate nightstand idea – by simply stacking old wooden crates you can make a beautiful end table of nightstand. 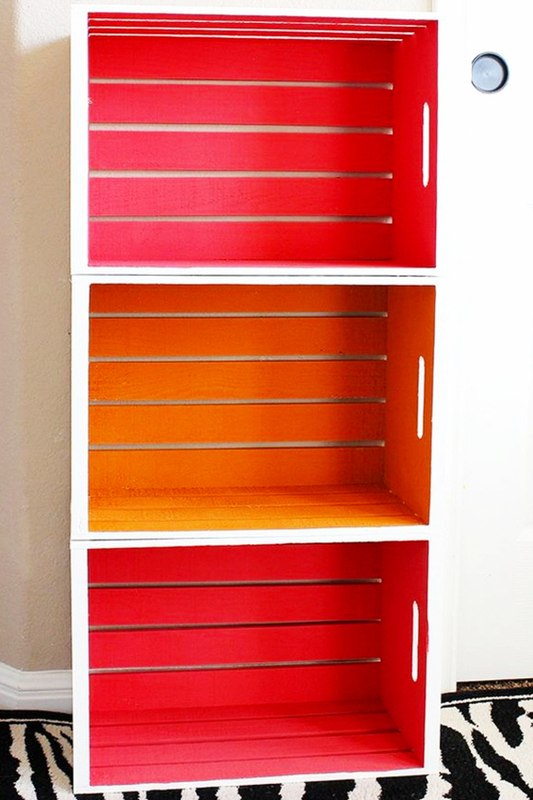 Here’s a pretty DIY crate bookshelf idea – love the paint colors inside the stacked wooden crates! 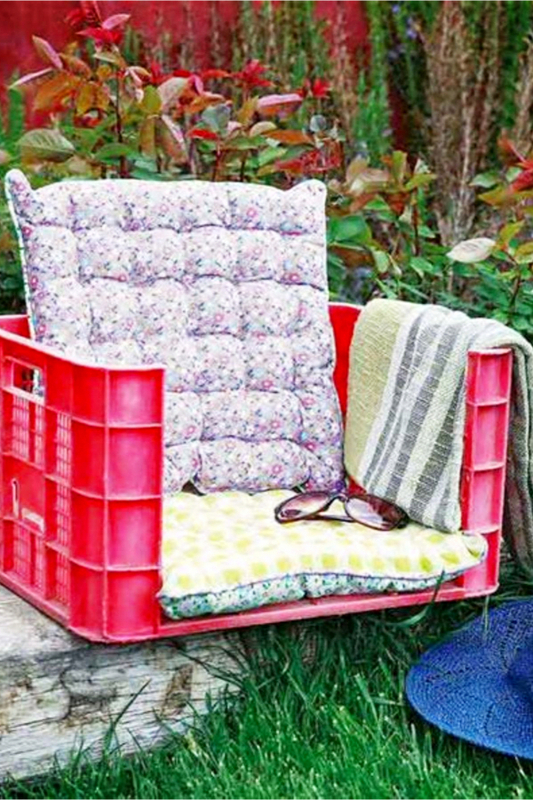 This is super creative idea for an old milk crate – Turn an old milk crate into a DIY chair for gardening, the beach, kid’s ball games etc. 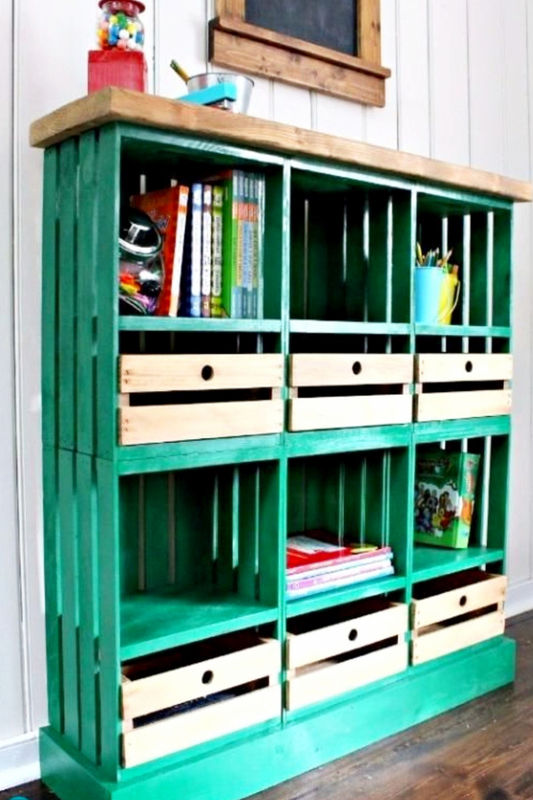 If you stain and stack old wooden crates, you can make a beautiful bookshelf for your home. 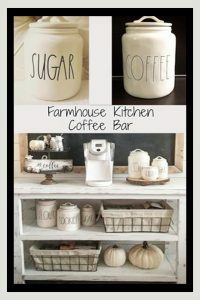 Love the rustic/farmhouse look! I also LOVE that gallery wall! See more DIY Gallery wall ideas here. 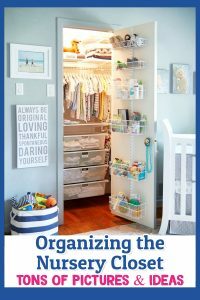 Here’s another DIY crate shelving idea – Stacked wooden crates used as a corner bookshelf or shelving unit. 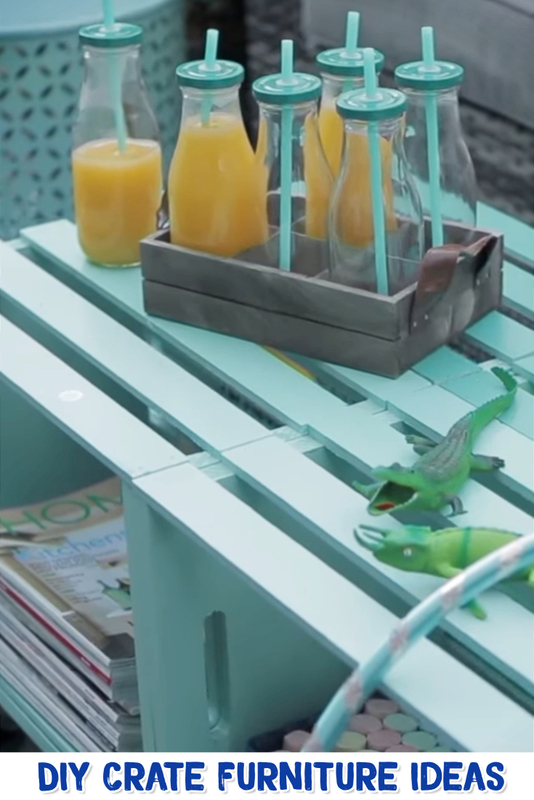 Watch this quick video and see these guys make a quick and beautiful painted coffee table for their patio. 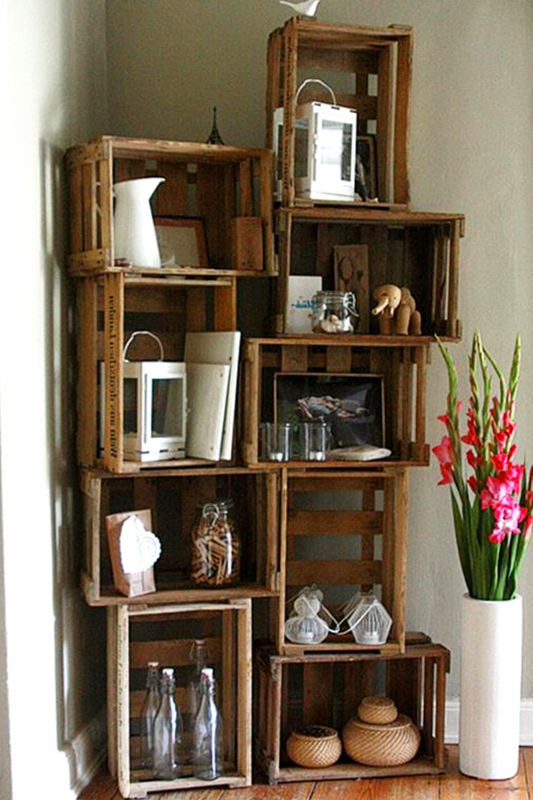 Love these DIY shelves made out of old crates – would be great in a home office, kids room, living room etc. 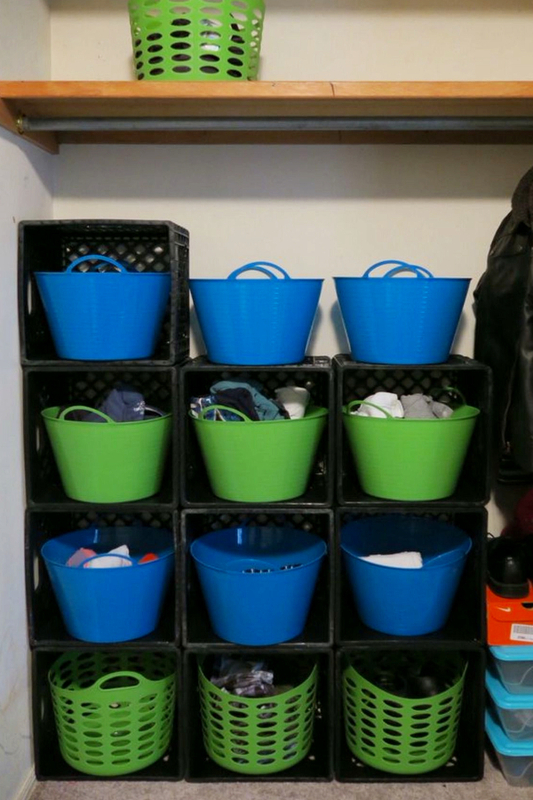 Another clever DIY idea for old milk crates – get your closet organized with DIY milk crate shelves in your closet. 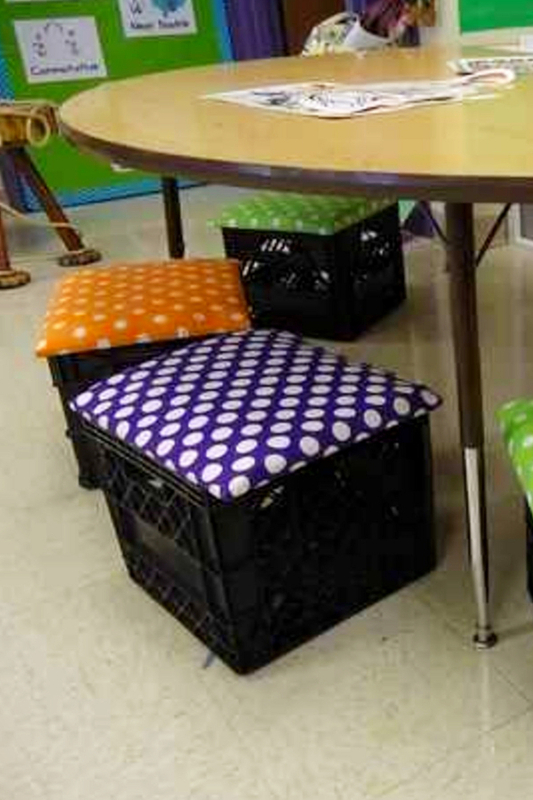 These DIY milk crate seats and stools are so cute – perfect for the classroom or for home.